LED PinFin Heat Sink ø70mmxh30mm/50mm; Design for Spotlight and Downlight 1400~2200lm; Rth 3.1~3.8°C/w; Suitable for 8w/10w/12w/15w; Self-taping hole or custom mounting holes for Zhaga book 3 and book 11 LED modules; Standard finish-Black anodized. Good materials, advanced production technology, and fine manufacturing techniques are used in the production of led heat sink. 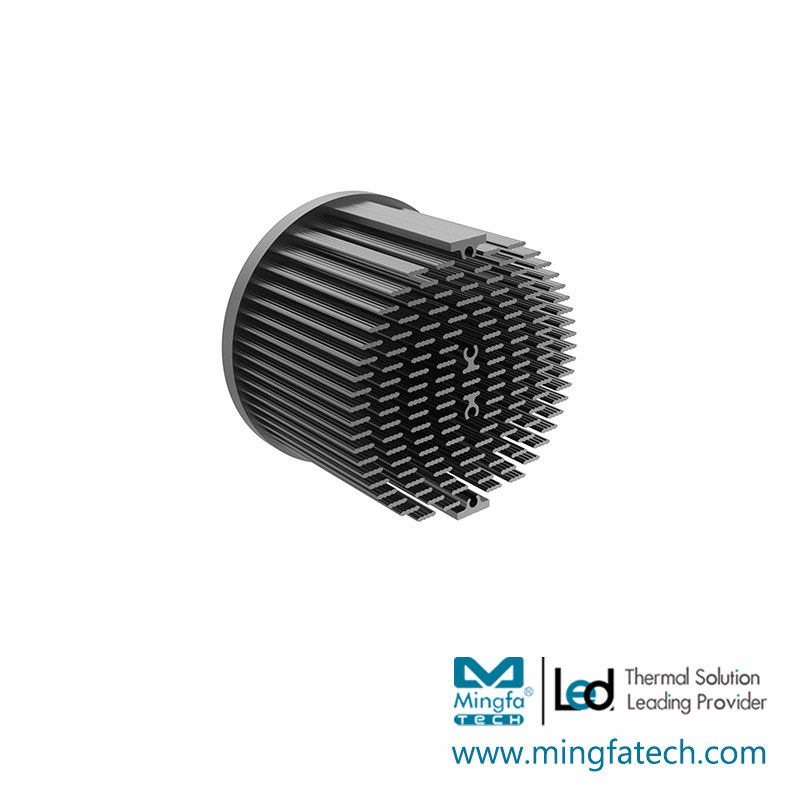 It is of fine workmanship and good quality and is well sold in the domestic market.In the manufacturing process, MINGFA pays attention to the safety and reliability as well as product appearance of led heat sink. They are practical and well-designed. We carefully select safe and eco-friendly raw materials to guarantee excellent quality. 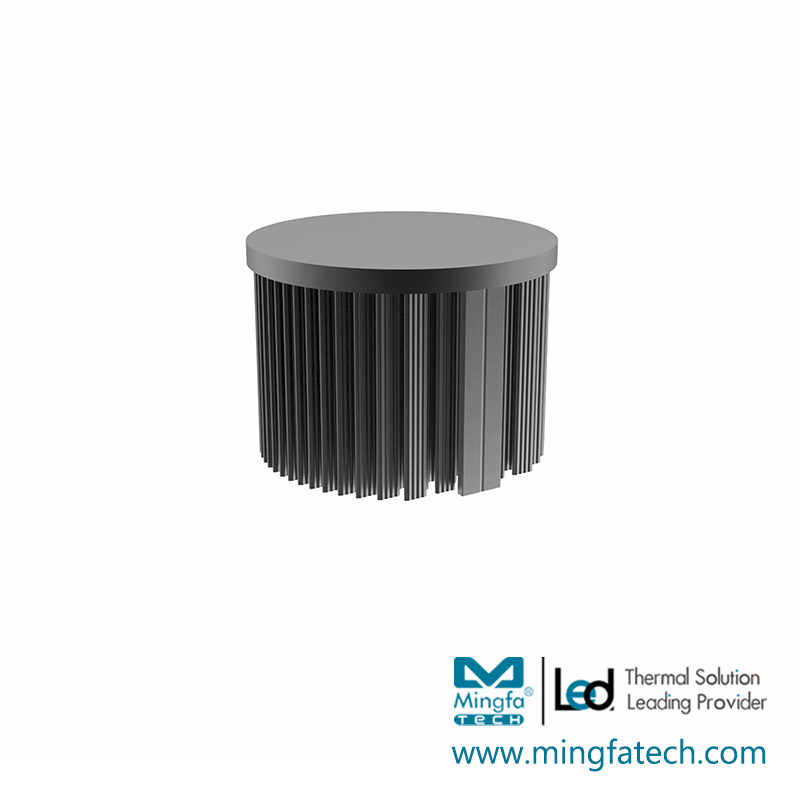 Besides, we design the shape of equipment based on the introduction of the advanced design concept.Compared with similar products, the led heat sink of MINGFA is more strict in the selection of raw materials. The specific aspects are as follows. there are 4PCS holes at the top. 1. With the high reputation of our passive heat sink, our innovation of heat sink fin design is also rising. 2. Our technical support engineers have deep industry and technical knowledge of large aluminum heat sink. 3. Optimizing the performance of resistor heat sink with an affordable price has been our pursuit. Contact us!